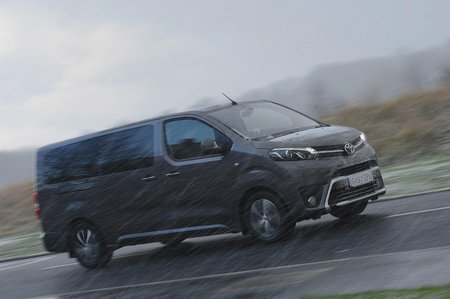 Toyota Proace Verso 2.0D Shuttle Long 5dr 2019 Review | What Car? What Car? will save you at least £2,145, but our approved dealers could save you even more. While moving as many people as possible for a reasonable price is this trim’s main aim – you get nine seats as standard – you do get a few luxuries. These include climate control, auto lights and wipers, electric windows, an auto dimming rear-view mirror and front foglights. Available in Medium and Long lengths.